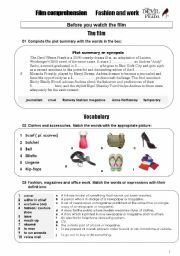 Worksheet for "The Devil wears Prada". 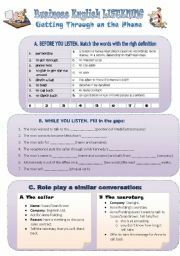 It contains pre-activities and, comprehension questions, and the answer key. I use it with business English students, but it can be used for general English. There are two copies of the worksheet so that you can save paper. I think the song is good to practise the present perfect and the past simple. Keys included. I hope you like it. 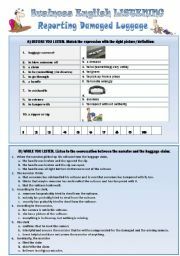 Listening activity on airports and baggage claim. 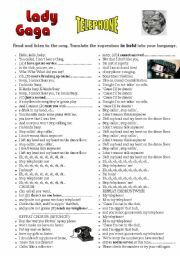 Teacher´s notes included (a link with a funny video to be used as a warmin-up activity, the link where you can download the dialogue, keys and transcription). 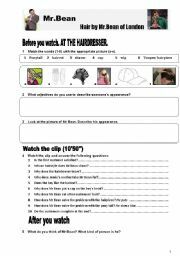 This is a worksheet for the "Mr Bean" TV series entitle "Hair by Mr Bean", where Mr Bean replaces the hairdresser. It is useful to practise language for physical description. 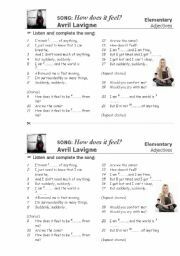 This is a worksheet for Avril Lavigne´s song "How does it feel?". It´s good for basic adjectives practice. It includes two copies on each sheet (to save paper) and the key. I hope you like it! 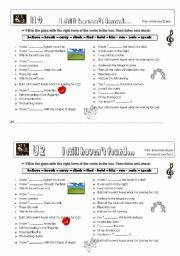 It´s a worksheet for Lady Gaga´s song "Eh eh(there´s nothing else I can say". The focus of the worksheet is on words like "sombody", "anything", etc. The topic of the song is love and splitting up with somebody. The document contains two worksheets (on one piece of paper, to be cut off) and the keys. I hope you like it. 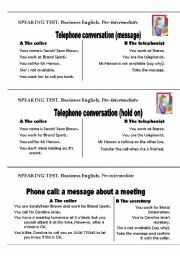 Worksheet to learn/ practise telephone expressions through Lady Gaga´s song "Telephone". It asks students to translate expressions into their own langauge. You can use the following video (with just lyrics):http://www.youtube.com/watch?v=rQOmZ3UhEXc. I hope you like it! Noughts and crosses/tic tac toe game to practise irregular past simple forms. Click on the house icon to go back to the grid/board.